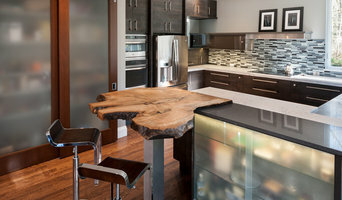 The Northwest Society of Interior Designers, is a non-profit regional organization of interior designers dedicated to promoting excellence in design by providing resources and knowledge about interior design methods, techniques and ideas for decorating, remodeling and home and office improvements. NWSID has two chapters; the Puget Sound area chapter based in Seattle, WA and a sister chapter in Portland, OR. 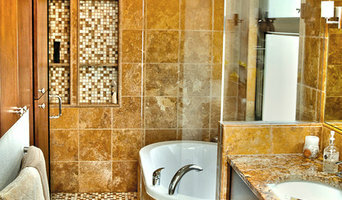 Both chapters have educated, professional designers able to work with you on your residential and commercial projects. Master Builders Association is the nation's largest local homebuilders association, serving the Greater Seattle area and all of King and Snohomish counties. 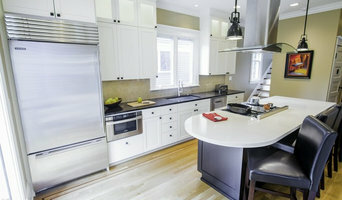 If you're looking to buy, build, remodel or maintain your home, we're the trusted source for industry professional referrals and practical information on getting the job done right. 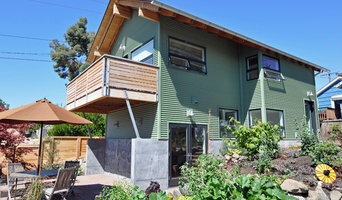 The Northwest Green Home Tour is an annual educational event, free to the public, produced by the Northwest EcoBuilding Guild, that showcases local, sustainable, and green new homes, remodels, and energy retrofits in the greater Seattle area. The 2015 tour will be a two-day event, taking place on April 25 and 26. The Kitsap Builders Association is a trade association serving Kitsap's business community & the public. THE MASTER BUILDERS ASSOCIATION features more than 650 Builders, Remodelers, Contractors and Service Providers operating in the Pierce County Area. We provide services, benefits, networking opportunities and government representation to building industry professionals. Looking for a qualified professional? Log onto www.mbapierce.com and look under hire a professional for more than 600 members. IAHSP® is dedicated to advancing the education of the professional Home Stager and Realtor® as they prepare homes for sale. IAHSP® members strive to serve the public to the best of their ability built upon the principles, practices, and education of approved Home Staging courses and designations. The Washington Association of Landscape Professionals (WALP) sets the standard for landscape excellence here in WA. We are a non-profit organization that consists of "best in class" landscape professionals dedicated to promoting professionalism, integrity, and education within the Landscape Industry. The Northwestern Chapter of the North American Rock Garden Society (NWNARGS) is a society of plant enthusiasts located in the Seattle metro area. Our members come not only from the greater Puget Sound area but also from all parts of Washington State and northern Oregon State. We welcome members and visitors at all levels of gardening experience – from garden beginners to professional growers. The plants we study include alpine plants; bulbs; small hardy plants; woodland plants; hardy orchids; shrubs and trees like rhododendrons and conifers; and even ferns and desert plants like cacti and succulents from around the world. NWNARGS meets ten times a year in Seattle or Bellevue. Meetings feature illustrated presentations by local, national and international experts; plant cultivation tips and demonstrations; and information about Pacific Northwest growing conditions and plant resources. We sponsor two plant sales a year, annual garden tours, and wide-ranging field trips to explore plants in their wild habitat. Our meetings are free and open to the public and non-members and guests are welcome! ABC of Western Washington represents over 300 general contractors, subcontractors, suppliers and industry professionals, both union and open shop, who are united in the beliefs that: -Projects should be awarded to the lowest responsible bidder, or owner's contractor of choice, regardless of labor affiliation. -Union and open shop workers should be able to work side-by-side to provide the best project for the owner. -Workers should have the choice of whether they wish to join a union or not. -Workers should be rewarded on the basis of their individual skill and initiative. Olympia Master Builders (OMB) is a professional trade association representing companies located in Thurston, Lewis, Grays Harbor, Mason and Pacific Counties. Members come from all sectors of the building trades including home builders, remodelers, bankers, plumbers, electricians and attorneys. OMB is committed to “building strong communities, one home at a time.” OMB’s primary goal is to provide affordable housing for all segments of society. This is achieved by improving the construction industry and the business climate in which our members operate. We are glad to inform you that Environix’s rigorous mold inspection and remediation training courses are available to you. So, what are you waiting for? Jump, start your career and expertise with our mold certification training courses. Unlike other training courses, our training covers bacterial sampling, VOC sampling, moisture assessments, ventilation assessments, failure investigations and particulate analysis. Thinking about prerequisites? Well, you need no prerequisites at present. However, if you have a background in construction, home inspection, or building science, then you have an added advantage over others. So, whether it is about certified mold remediation training or mold inspection training, reach us for all your needs. Washington State Nursery & Landscape Association is a non profit trade organization dedicated to growing the success of our members through promoting, representing and educating our horticultural community. WSNLA includes all aspects of the nursery and landscape community, including: independent nurseries and garden centers; wholesale & greenhouse growers; landscape design professionals; landscape construction & maintenance; horticultural suppliers, educators and researchers; Certified Professional Horticulturists and ecoPRO Certified sustainable landscape professionals. For professionals: WSNLA.ORG. 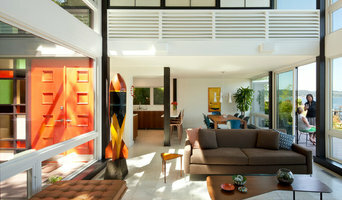 For homeowners: GardenWashington.com.